Swiss clinics are famous around the world for their highly skilled doctors, accurate diagnostics, cutting-edge equipment and treatment methods. Swissana Clinic AG is a private company established in 1994 in Volketswil near Zurich. Swissana Clinic is a small independent clinic within the healthcare system employing freely practicing doctors renting beds at the clinic. Due to advances in medicine, Swiss clinics can nowadays offer out-patient care to ever more patients. That is why the clinic in Meggen specializes in out-patient and short-term in-patient interventions. Free practice doctors renting beds at the clinic allow it to offer a wide range of surgeries. Patients of all the insurance categories are served. The clinic has accredited about 30 free practice doctors. The doctors that rent the beds for their patients work in different fields of medicine. The clinic has three operating rooms with modern equipment. There are 11 first-class hotel-type rooms and a day hospital with 11 beds at the clinic. More than 40 employees take care of clients’ health. Small scale, short distances and efficient processes allow keeping the prices low and providing for more flexibility, efficiency and customer-oriented approach. 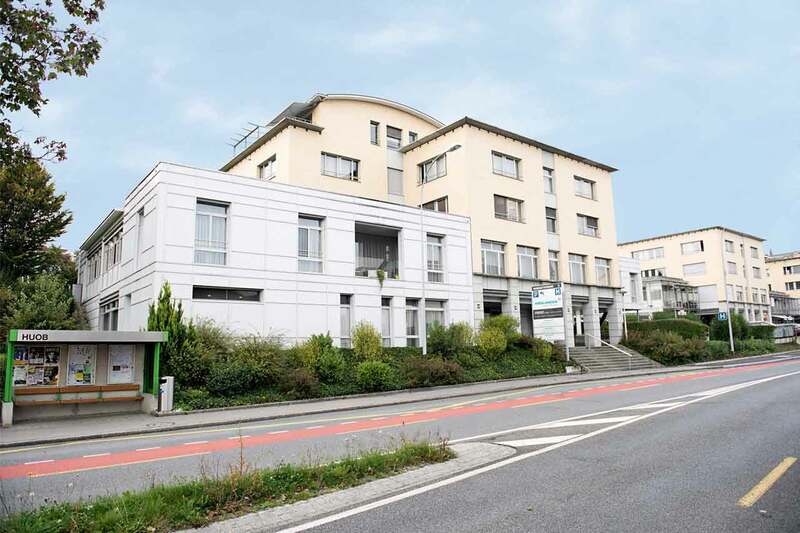 The clinic has been established and is located in a modern building in Meggen, a suburb of Lucerne. It includes an out-patient department of dermatology and laser medicine, obstetrics and gynecology center, center of traditional Chinese medicine (TCM). Patients are at the heart of everything the Meggen Clinic does. 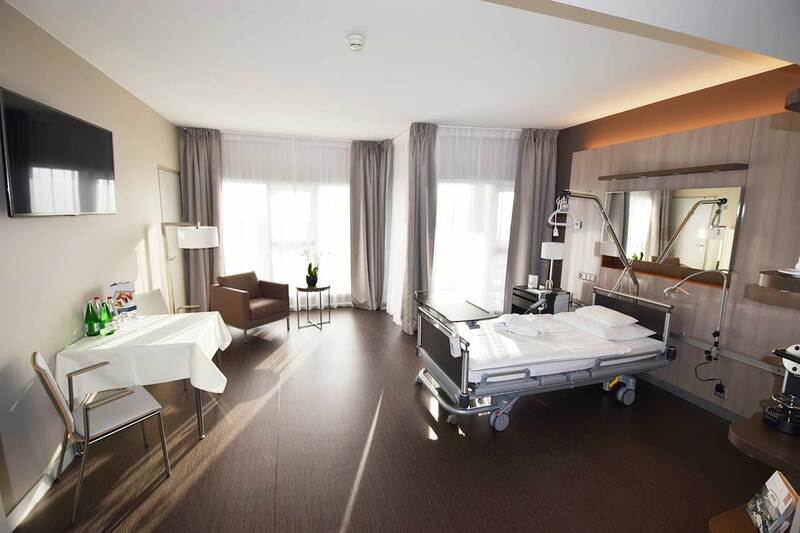 The rooms are light and modern so that patients feel comfortable at all times while they stay at the clinic. Comprehensive care and support are provided to ensure patients’ well-being. There is an en-suite bathroom with a shower and a toilet in all rooms. The bed position can be adjusted with a remote control. The orthopaedic mattress provides proper body support for better relaxation. The room also has a TV, and the Internet connection is provided upon request. Swiss towns are famous for their architectural landmarks. Meggen is one of such towns. It is a municipality in the district of Lucerne in the canton of Lucerne in Switzerland. There you can find such landmarks as the St. Pius Church, neo-renaissance Meggenhorn manor and castle, neo-gothic Neuhabsburg castle, neo-baroque St. Charles Hall. St. Pius Catholic Church is a 13-meter high cube with a detached 40-meter high steeple built in 1964-1966 according to a competitive design by Franz Fueg (1960) in Mies van der Rohe style. Transparent marble plates, only 28 mm thick, separate identical sections of gray steel supports. Neo-renaissance manor of Meggenhorn, neo-gothic castle of Neuhapsburg and neo-baroque St. Charles Hall are some of the most significant architectural landmarks of Meggen. They were built in the 19th century. Swiss towns are also famous for their amazing nature, and Meggen is no exception. 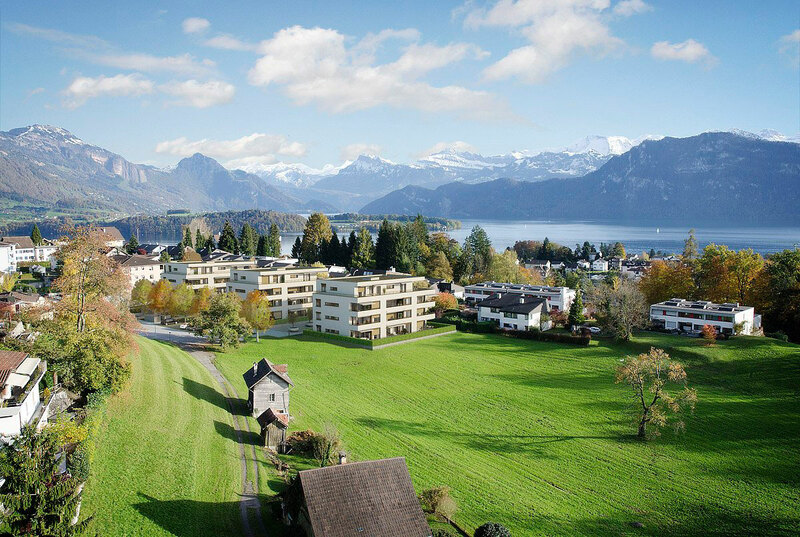 The clinic is approximately ten-minute drive from Lucerne. Bus 28 will take you right into the center of the town or the railway station in 20 minutes. Huob municipal bus stop in Lucerne is right in front of the clinic. Federal Swiss railway station of Meggen, from which trains go regularly to Lucerne and Küssnacht am Rigi and Art-Goldau, is located near the clinic.